[dropcap]W[/dropcap]hat if the Nazis actually won World War II? Can you imagine how the world would have changed under the control and utter destruction of the Nazi regime? Well, Cinemaware, creators of the fantastic Wings! Remastered Edition, asked that very question back in the late ’80’s with Rocket Ranger and now they’re revisiting it via Kickstarter. Rocket Ranger Reloaded is similar to the Wings! reboot in that it’s crowdfunded, dramatically updated, but is still in touch with its heritage. After their tremendous success with Wings! 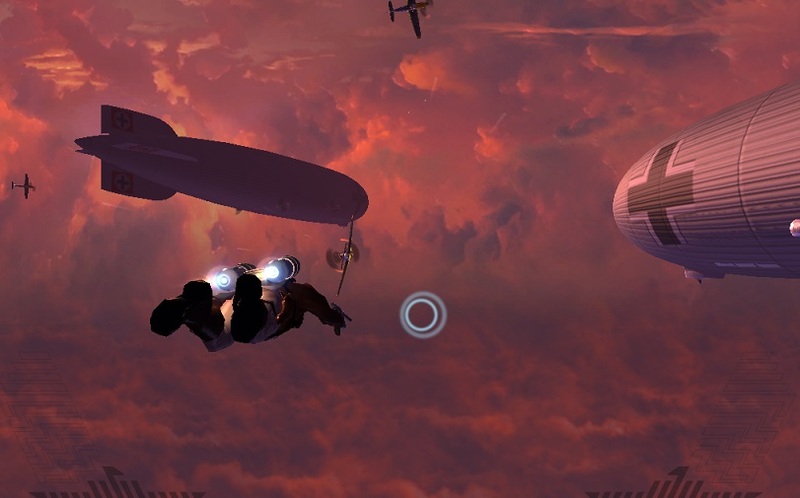 Remastered’s Kickstarter campaign and development, it makes perfect sense for Cinemaware to revisit another of it’s classic properties; and Rocket Ranger looks like it could be a perfect choice. The Kickstarter campaign has a funding goal of $89,999, and with 9 days to go there’s still a bit over $40k to be raised. That’s cutting it pretty close, but thankfully a demo was recently released so we have an opportunity to see if it’s worth a donation. Don’t worry if you’re not familiar with Rocket Ranger, it doesn’t take much to get up to speed with the story. During World War II, the Nazis made a technological leap that won them the war and the world altogether. 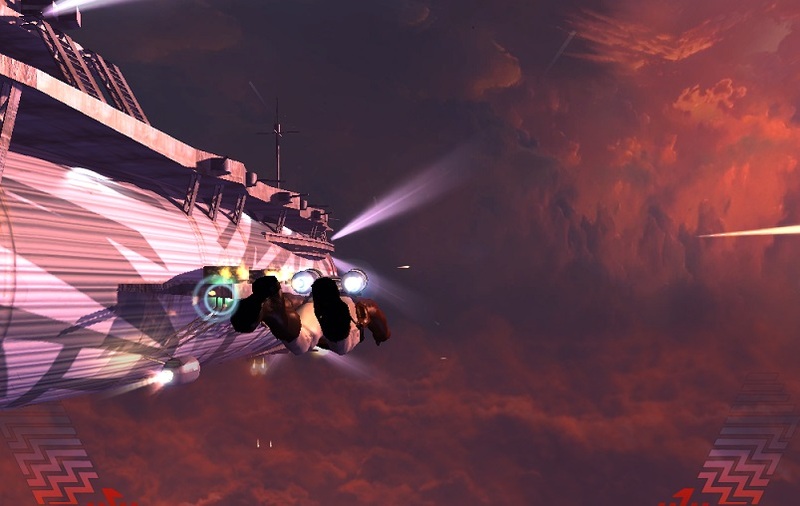 Their weapons were far more advanced than anyone elses’ and they were only advancing faster and faster throughout the war, especially upon their discovering of Lunarium, a moon mineral and alternative fuel source. However, there’s plenty of evidence proving that they shouldn’t have won the war and a country unknown in our current time, the United States, should have kicked their Nazi butts. The player receives information from the future explaining the Nazi’s victory and the very cause of their technological triumph. 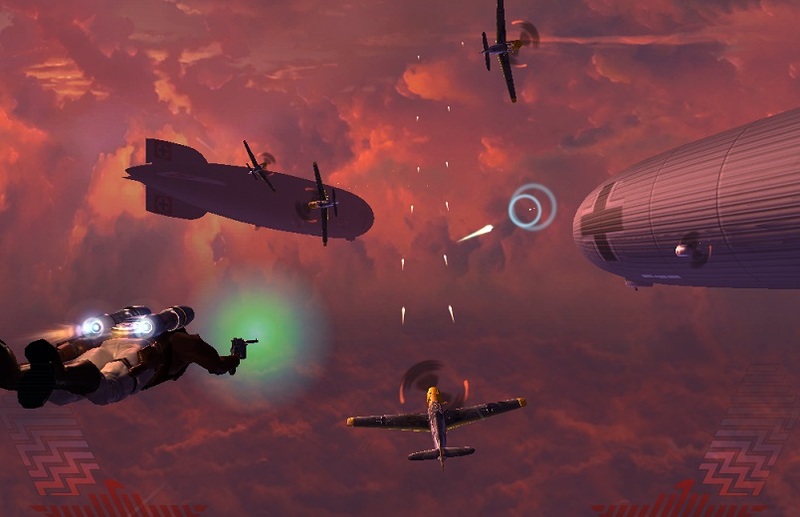 Equipped with an advanced rocket pack and radium pistol, the player must fly around the world; taking down the Nazi zeppelins filled with Lunarium bombs and put an end to their reign once and for all. Unfortunately, the demo is only a prototype of a brief action sequence, just showing off the new look and what the basic flying and shooting controls are. 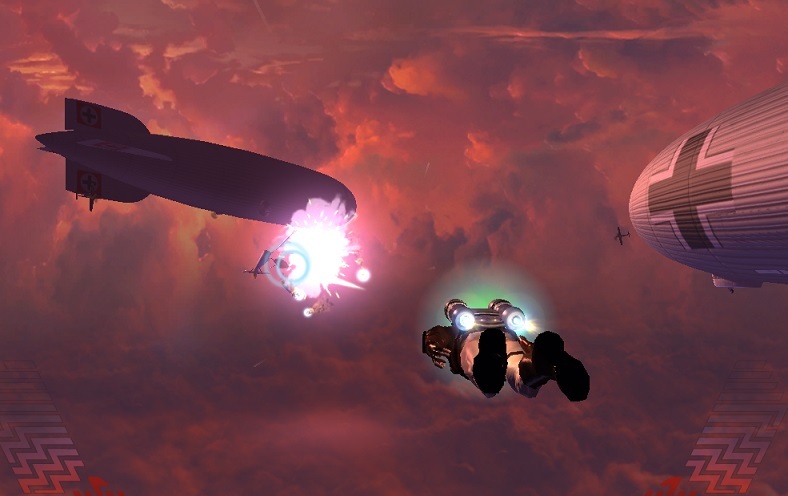 Players are thrown right into the middle of a battle in the sky, going against dozens of planes shooting at the player and a couple zeppelins floating about carelessly, shooting in the player’s general direction. The goal is simple, shoot down as many planes as possible, avert their fire, and avoid the zeppelins’ bombs. To do so, simple, fly around the waves of fire and shoot at the planes and destroy the shooters on the zeppelins. It’s brief but still delivers an entertaining experience where failure is still possible. It’s a 3D rendition of Rocket Ranger from the late 80’s and it’s pretty exciting to see just where Cinemaware is planning to go with it. Rocket Ranger Reloaded is taking the gameplay of Rocket Ranger and stuffing it full of new features, content, and some lovely graphics. There’s still a several days left in the campaign and lots of money left to make in the campaign. But by the looks of the demo, Cinemaware is going in the right direction. Check it out for yourself.